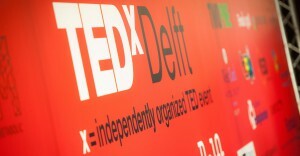 On Thursday 26 May TEDxDelft held its final storytelling event of the season, and to mark the end of the season the theme for this event was ‘new beginnings’. The evening was hosted by Marijn Vissers and Ogutu Muraya. Did you enjoy the final storytelling event of the season? Then get ready for the final TEDxDelft event of the 2015-2016 season, on Thursday 16 June. Keep an eye on social media and the blog for more details on what is sure to be a worthwhile sounding off. It is a cold and wet October evening in Delft, a typical autumn evening some might say. The clock strikes eight ‘o clock in the evening and a large crowd has gathered in the reception hall. They are excited, yet unsure of what to expect. Like a present still wrapped that you cannot wait to open. He starts to talk, in hushed whispers and loud tones. About his father, his younger brother, about growing up and the importance of stories. “Storytelling is not like cinema,” he says. The audience falls silent as they hang onto every word and gesture. With a story there is action and reaction, he explains, as the audience gets pulled into his story even more. 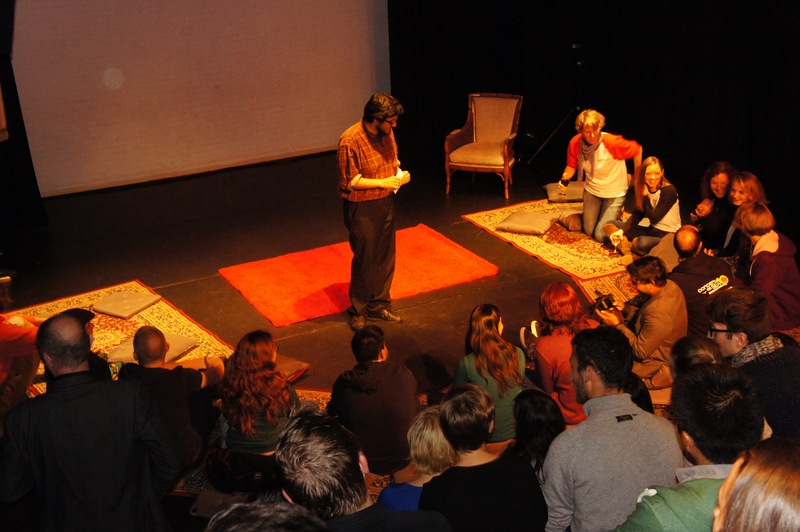 It is as much about the audience as it is about the storyteller. He talks of fellow storytellers, how he admires them for their inspiration, their way of storytelling. How his childhood inspires him to tell stories and how he tells stories about his childhood. The present had surprised some, and others got exactly what they wanted. The evening’s events have been inspiring, for some personally, for others in a professional sense. “It is nice to hear in the social media age this way of conveying a message still holds value,” a member of the audience says. Storytelling is inspiration, is realisation, is engagement. Leading your listener to a world of sounds, colours and emotions. Curiosity is a part of the process, to have people willing to listen to what you have to say, that’s why the atmosphere in the Rietveld Theatre was so interesting, as if everyone was standing on the edge of their seats. 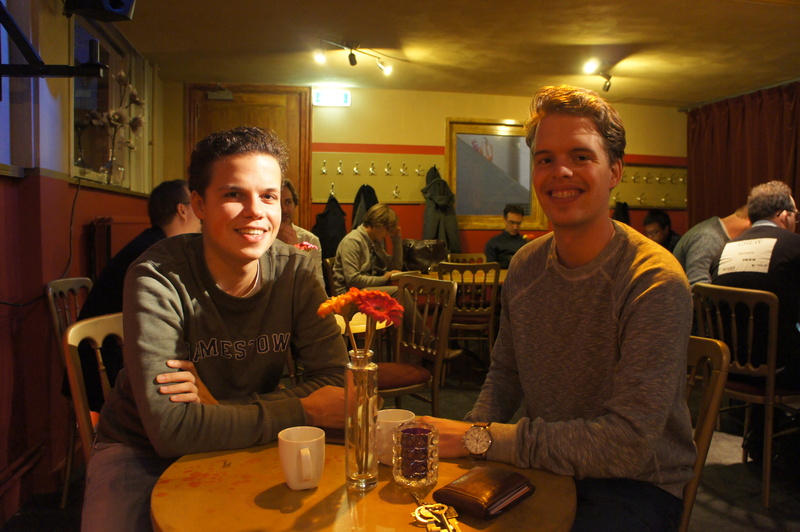 According to Bruno and Sjors, TU Delft students, the biggest expectations is to hear inspiring talks about life and they were looking forward to learn on how can someone engage people with their stories.